Microorganisms and bacterial biofilms cause a number of oral health challenges. 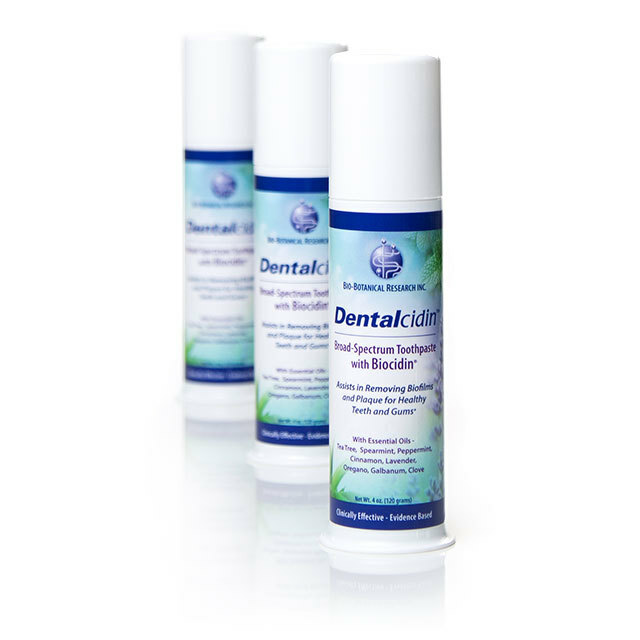 Use of the broad-spectrum botanicals in Dentalcidin™ can assist in removing biofilms and plaque, and is an excellent way to promote and maintain healthy teeth and gums. Dentists also recommend concurrent use of Biocidin LSF as an oral rinse for increased support where needed. Fights plaque and balances oral ecology. Freshens breath, tastes great, and perfect for children and adults.